The history of the roaming stone is described here. It is a story which begins at the Baltic coast about 150.000 years ago. It ends as a monument, a hunebed.At least for now. This album is based on all the music and sounds Fono Factory manufactured for the Hunebed Centre in Borger (NL). to buy a real CD: BIGfono vol. 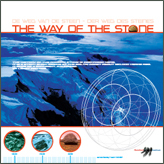 4: 'The way of the Stone', write me an email !